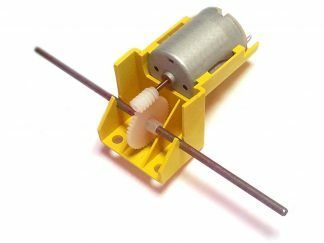 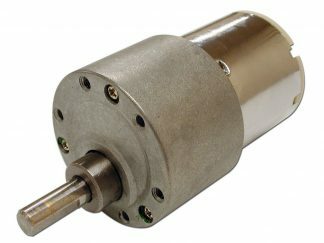 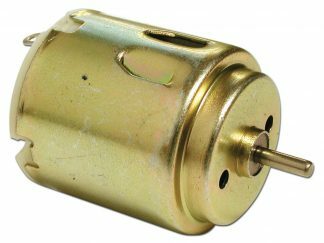 These motors have a 2mm dia, spindle, suitable for use with gears, pulleys, wheels, cams, off-centre mass, etc. Holders for the motors and a battery box are included. 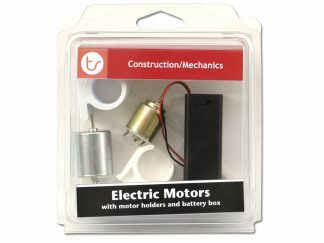 There are plastic straps (cable ties) that can be used to attach the motors to other kit parts. Battery box for 2 x AA batteries (with integral switch).